Over $100,000 was raised at the Electric Garage Auctions last weekend for two orphans who lost their parents in a tragic motorcycle accident. 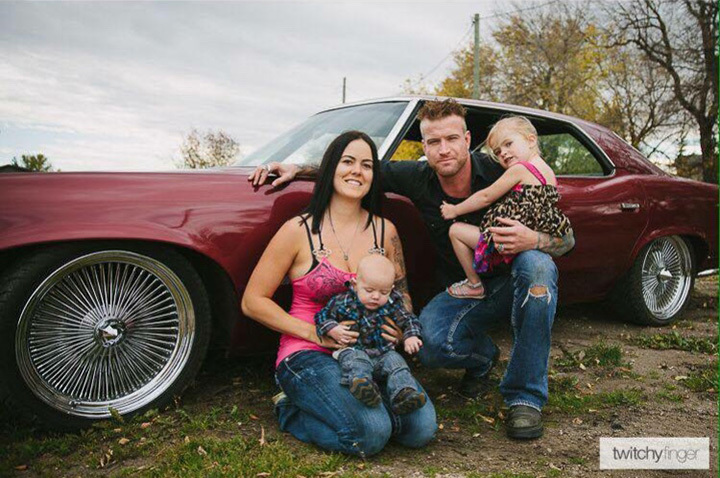 On May 5, 2018, Nicole and Brent Keryluke went for a motorcycle ride and were instantly killed when hit by a truck near Innisfail, Alberta. Their two children Arielle, 6, and Liam, 3, are being cared for by their grandparents, Ben and Marilyn. Both Liam and Arielle have severe hearing impairments requiring expensive hearing aids and trips to Calgary for treatment. On Saturday, Ben took a 1973 Pontiac Parisienne his son had been working on to Electric Garage Auctions to sell. The family didn't want to part with the vehicle but as Ben explained, didn't really have a choice. What happened at EG Auctions on Saturday afternoon floored them. "The entire customer base and EG AUCTION staff got together and had an emotional 10 mins auction selling this car for the family —- it's amazing what happens, pls watch the video as there was not a dry eye in the place. At the end of it all we raised approx 100,000 for the family and the 3rd buyer gave the car back to the family!" auctioneer Rod Burnett wrote about the video (on link) on Facebook. The car was sold for $29,000 and then was donated back. Then it was sold for $30,000 and donated back. Then it went for $20,000 and donated back again. "It was incredible. People were cheering, I was crying. Our auctioneer Rod had a hard time getting through it because he was crying. He was emotional," said Lyndsay Payne, co-owner of EG Auctions. A friend of the family also launched a GoFundMe page for the children. More than $80,000 has been raised. That is truly heart warming, stories like this renew our faith in human beings if we are getting bogged down with bad news. Syl wrote: That is truly heart warming, stories like this renew our faith in human beings if we are getting bogged down with bad news.